Why Are Companies Undervaluing Good Judgment? Guest post by Noemi Pollack, CEO & Founder of The Pollack PR Marketing Group, a 25-year old integrated PR and marketing agency in Century City, CA. 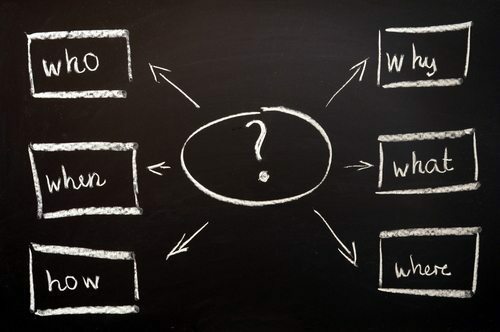 Inevitably, when corporate America seeks a PR agency to support their communications effort, the Request for Proposals (RFP) asks for critical capabilities that can help a company sift through the myriad of options available and narrow them down to the few that make sense for their specific needs. Relevant experience always matters, as does specific industry knowledge, followed by creativity, a sense of a “safe choice” based on an agency’s reputation within the PR industry and, of course, actual public relations skill. But in my many years as a PR professional, I have noted that there is one critical component that is largely overlooked. Little consideration is given to the matter of judgment, as in critical judgment, and “poor” or “sound” judgment. This can be a greater differentiator than all others. “Sound” judgment is the capacity to assess situations and circumstances shrewdly and to draw appropriate conclusions. Or perhaps it’s the process of forming an evaluation by discerning and comparing the options at hand and then forming an opinion objectively and wisely. In either case, corporations would do well to take note and cleverly try to divine the individual and collective wisdom of each agency as part of their decision-making process. For one thing, I can surmise from the numerous entry level employee interviews in which I have participated, that critical thinking courses have largely been absent from most university PR curriculums for the better part of a decade. Thus it seems that the very people that are today putting together the RFPs, often are the ones that have had no training in critical thought. Nor is it on their radar. Also, sound judgment is largely evident in hindsight, when the die has already been cast, and the results delivered (or not). As such, it is difficult to forecast any agency’s collective judgment capabilities. Even if one checked out agency successes and what roads were taken on behalf of other clients to achieve those successes, it would not tell the whole ‘story.’ Judgments are made on a case-by-case basis and circumstances surrounding each can affect that judgment. Past successes are therefore not necessarily good indicators as to sound judgment. We know good or bad judgment when we see it, but it remains hard to predict. The obvious examples are the good judgment shown by Chesley “Sully” Sullenberger, the US Airways pilot who safely landed a plane full of passengers on the Hudson River, and the bad judgment shown by Tony Hayward, ex-CEO of BP in taking a defensive stance when addressing an outraged public. A column by The Wall Street Journal’s Peggy Noonan entitled Youth Has Outlived Its Usefulness, focused on good judgment. The premise is that it takes a “wizened older generation” with a broad scale of knowledge and experience to form good judgment. I disagree. Good judgment is not based only on the sum of one’s experiences. It is not age-related to have the capacity to assess situations or circumstances and draw sound conclusions or to have a “good sense” for perceiving and distinguishing relationships or discerning situations that will affect an outcome. Most agencies worth the name on their door have the capabilities and skills to develop and implement the gamut of online and offline communication tactics. But “sound” judgment needs to back up every tactical path taken – and not just when a company is in a crisis mode. For example, an agency’s collective judgment plays a critical role in the choosing of what to say, how to say it, and to whom or when, and through what format, or when managing sensitive community relations, or in selecting a strategic partnership tie-in or when taking an extra-calculated risk to achieve desired outcomes. This is true not just of PR agencies, but of all professional service providers. 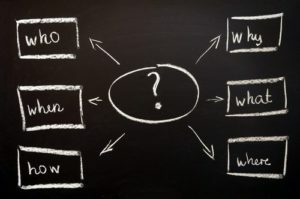 If these questions were included in RFPs, companies would gain a comparative sense of critical thinking and realize that judgment – not execution skills – is the differentiating component that drives tactical successes and agency value.